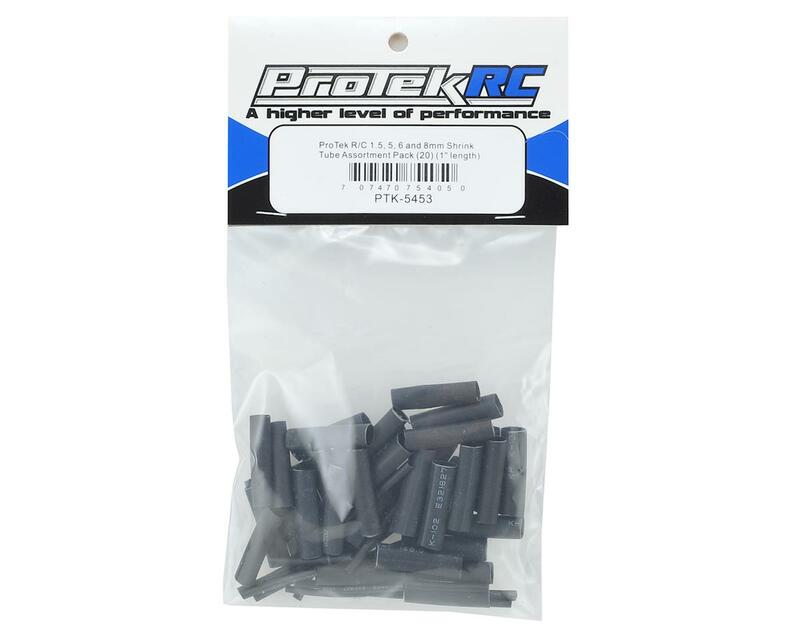 This ProTek R/C Shrink Tube Assortment Pack is perfect for the R/C modeler or electronics enthusiast. 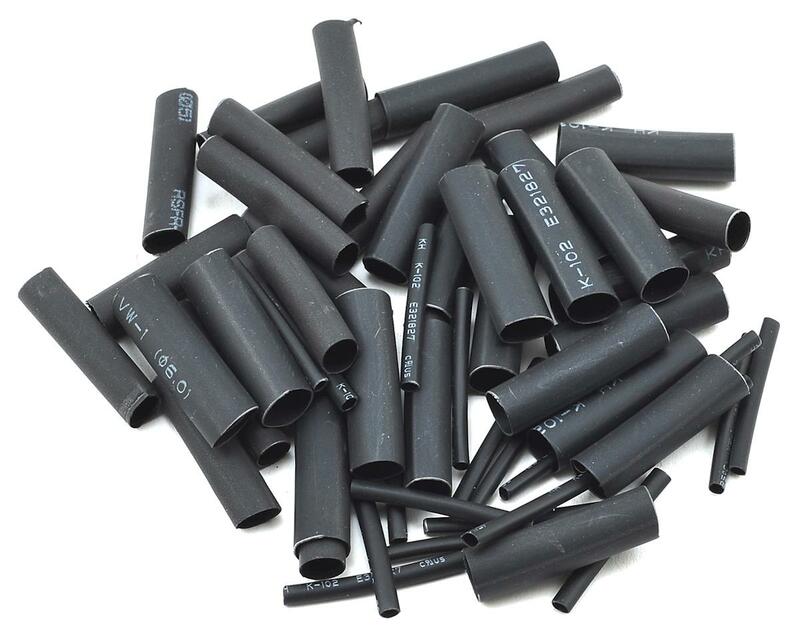 This pack includes four different tube diameters - 1.5mm, 5mm, 6mm & 8mm - to suite a variety of needs and wire sizes when soldering. All pieces are one inch long.